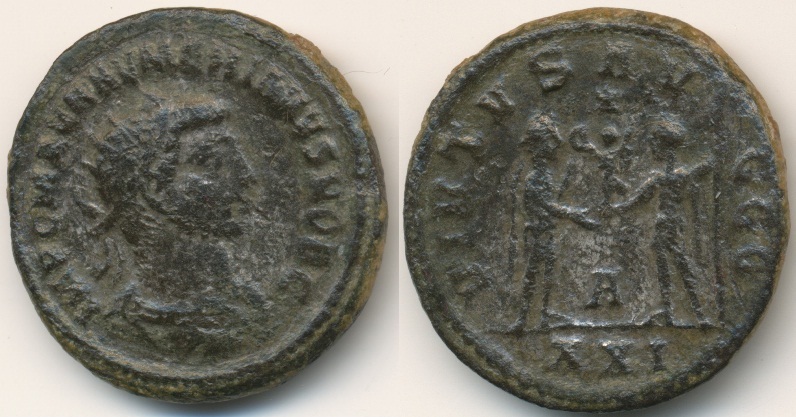 2nd emission,Feb.283 arrival in Antioch. 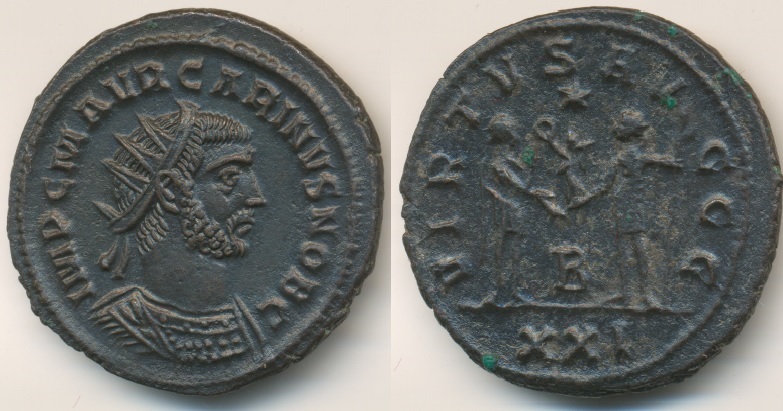 4th emission may/june 284, return from Ktesiphon. 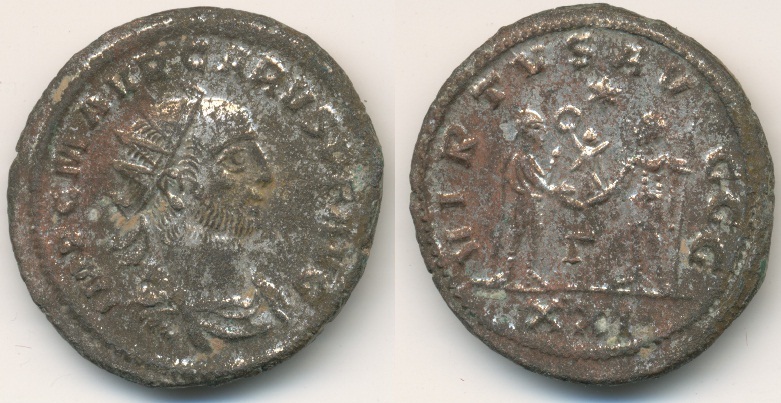 466C IMP C M AVR NVMERIANVS PF AVG, Radiate, draped and cuirassed bust right. 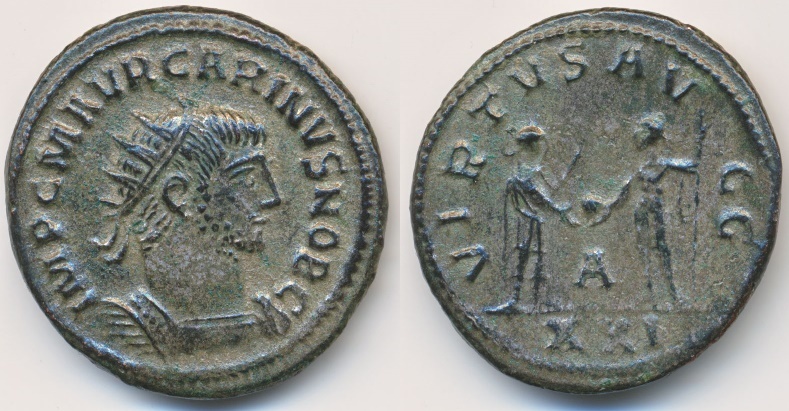 VIRTVS AVGG, Numerian and Carinus Victory on globe. 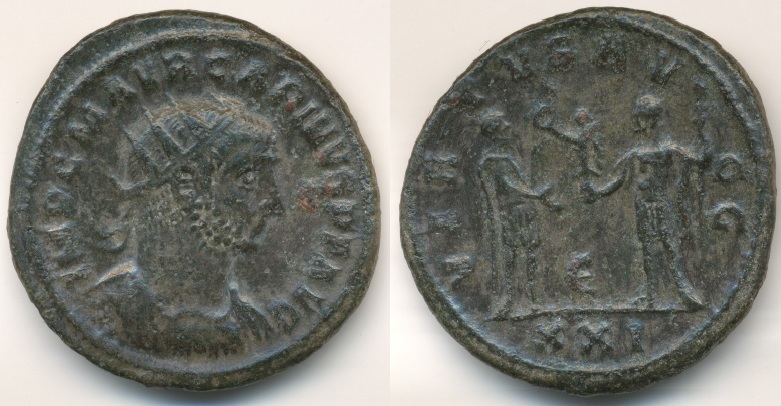 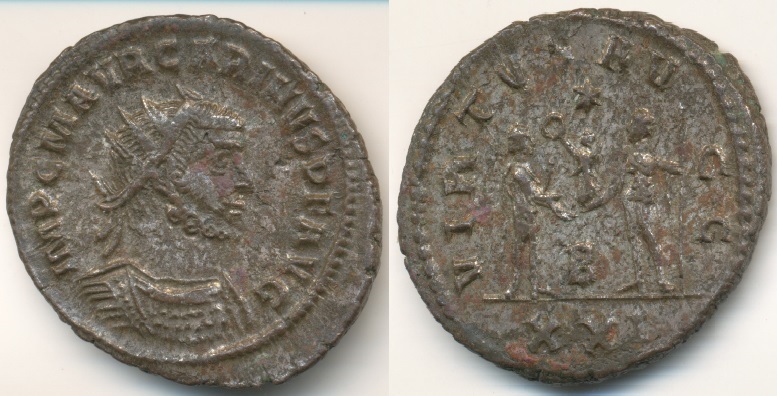 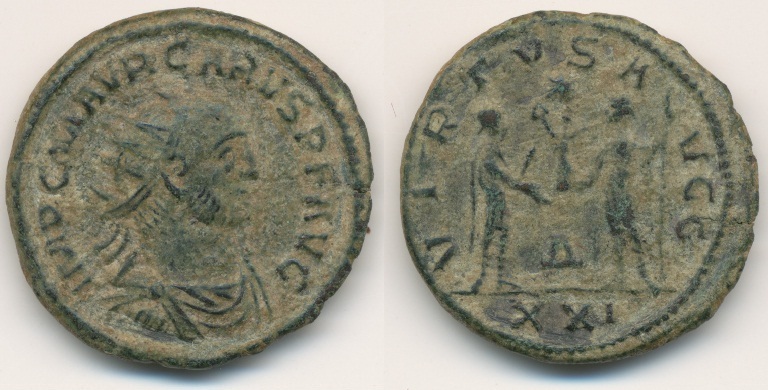 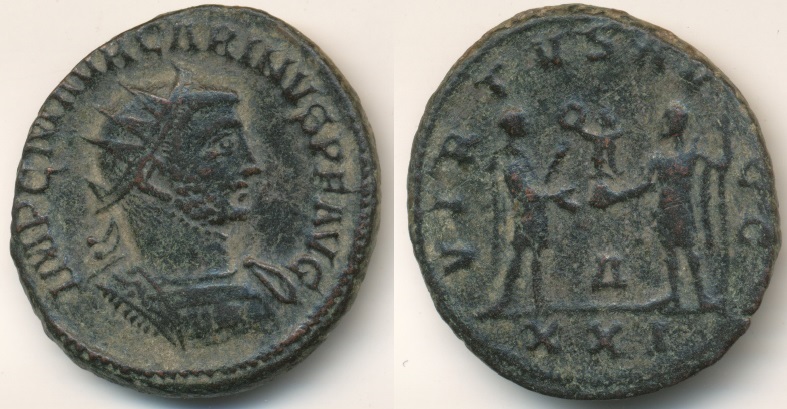 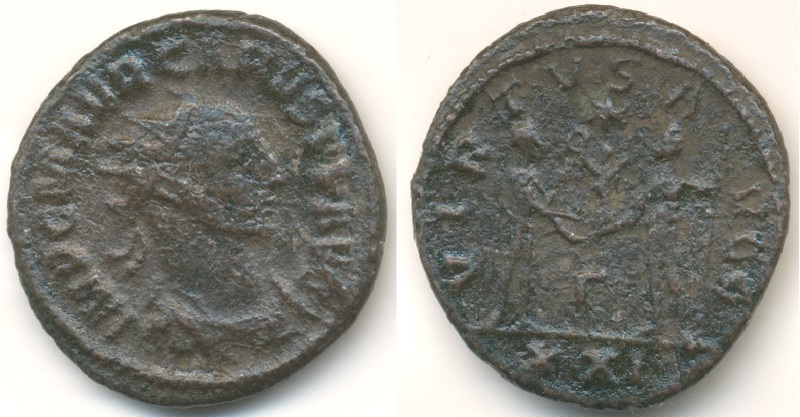 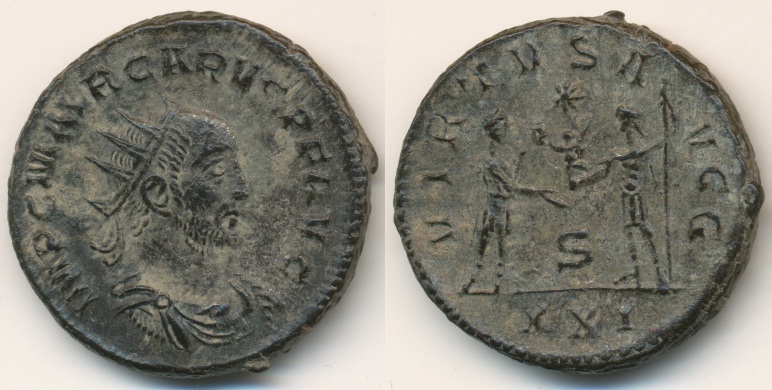 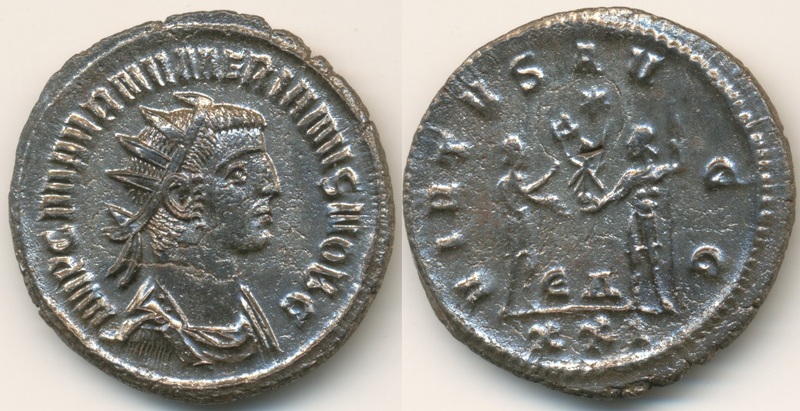 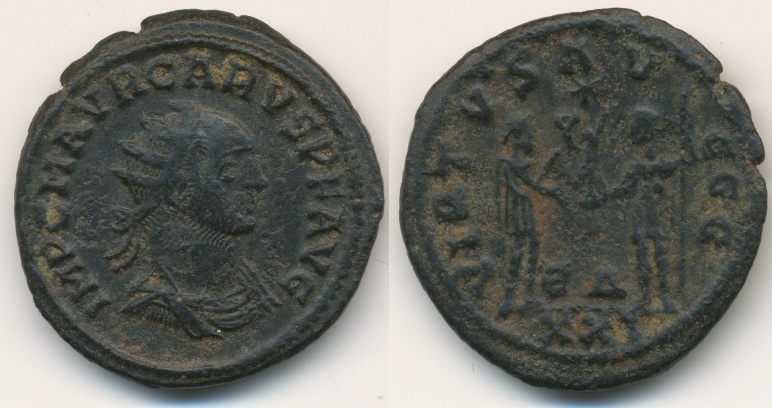 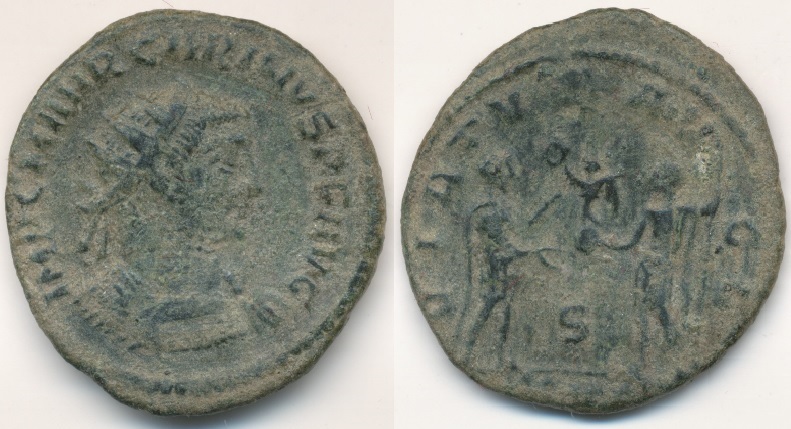 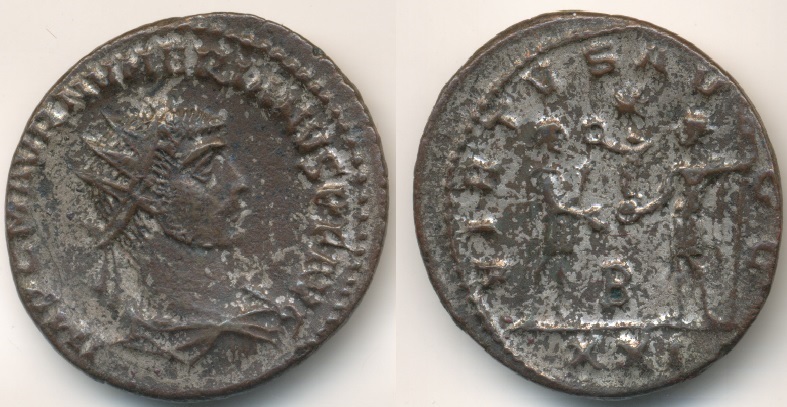 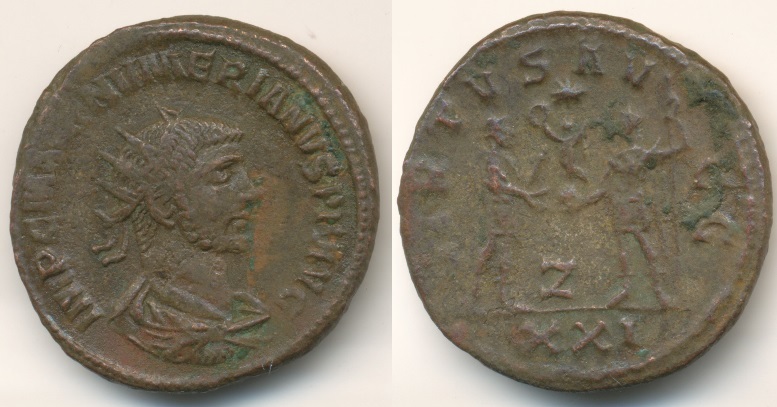 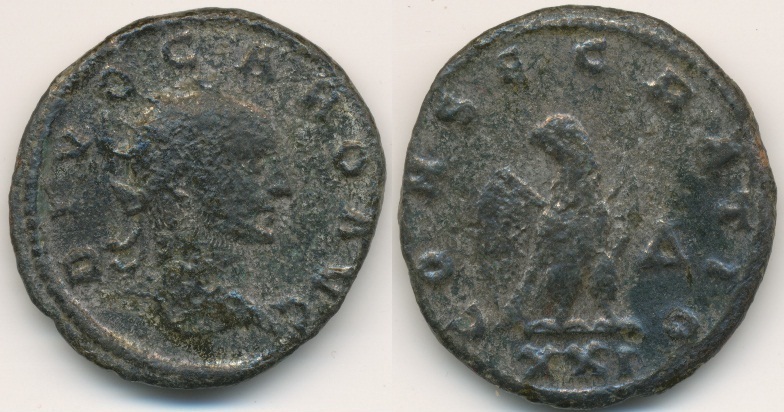 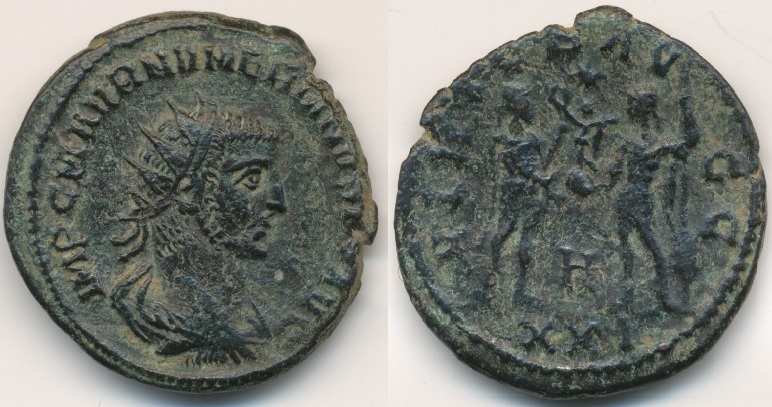 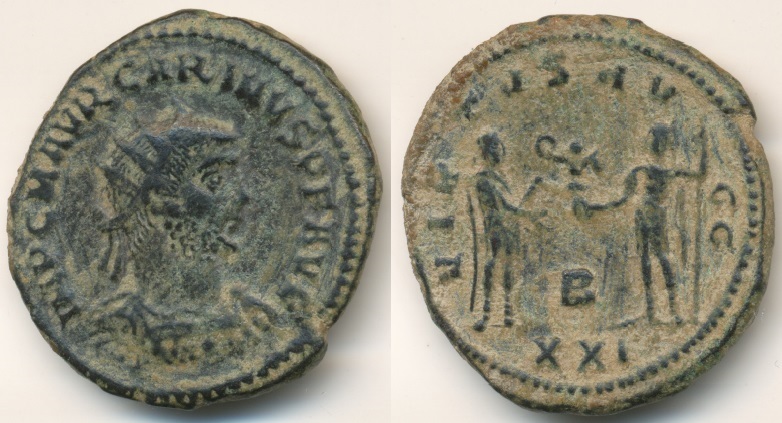 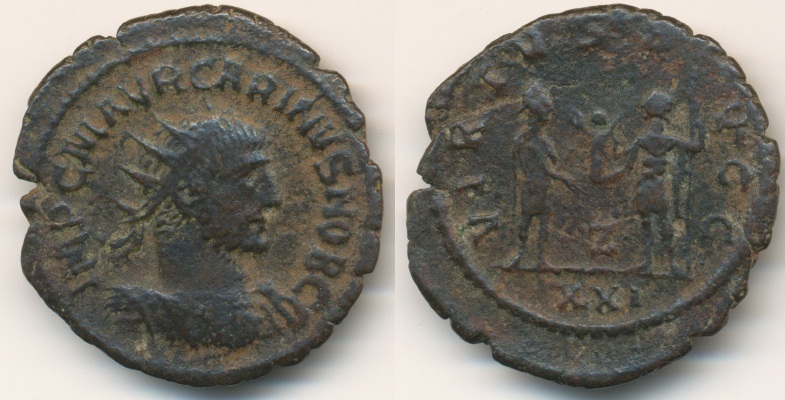 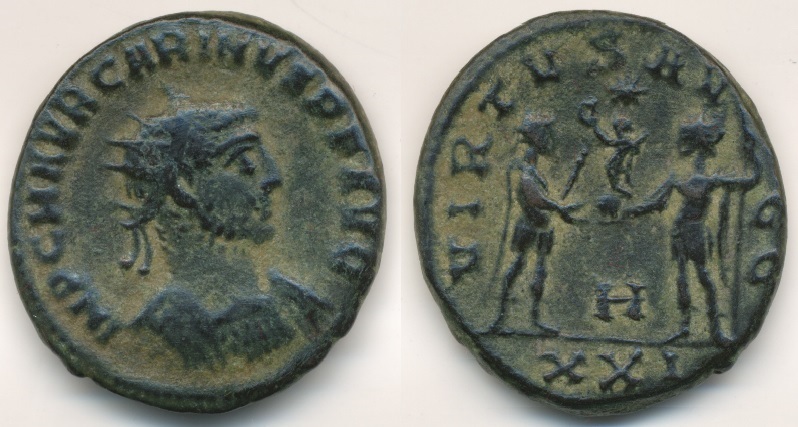 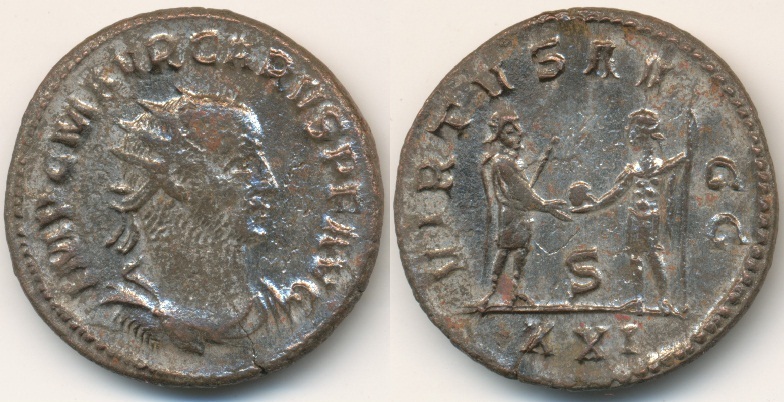 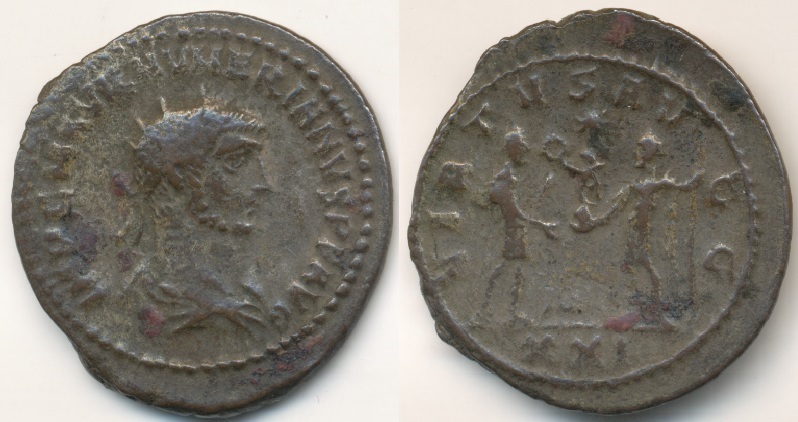 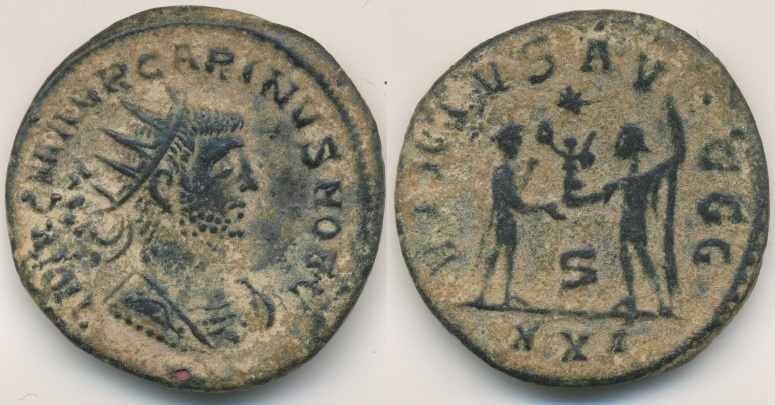 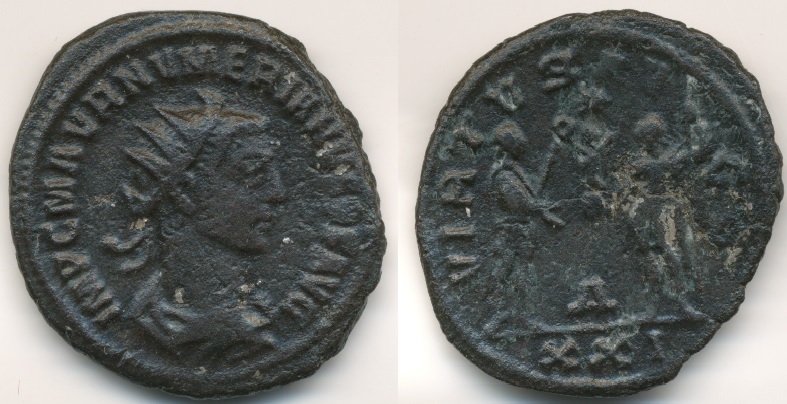 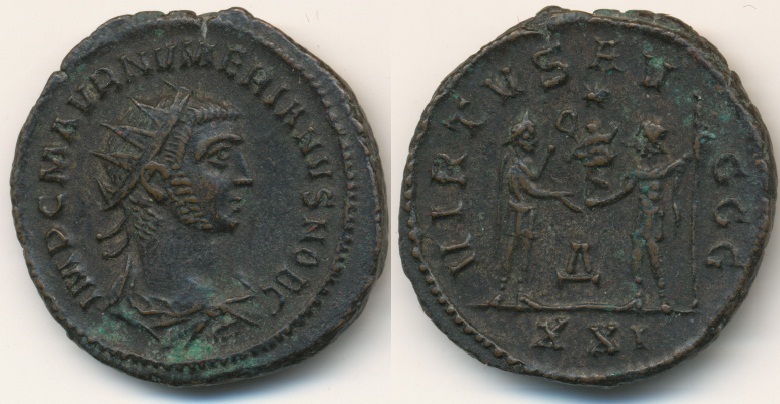 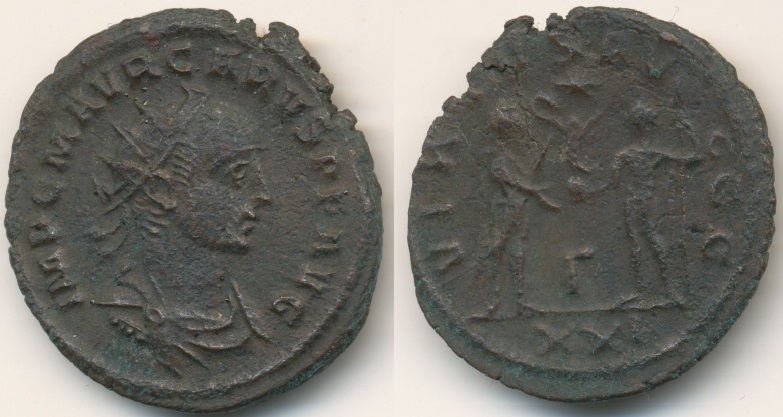 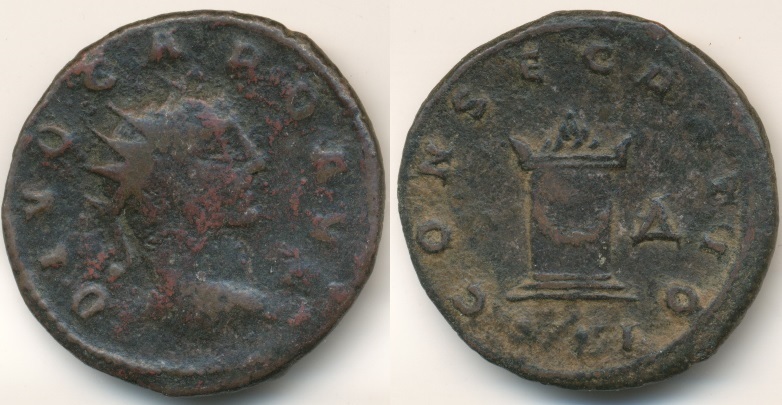 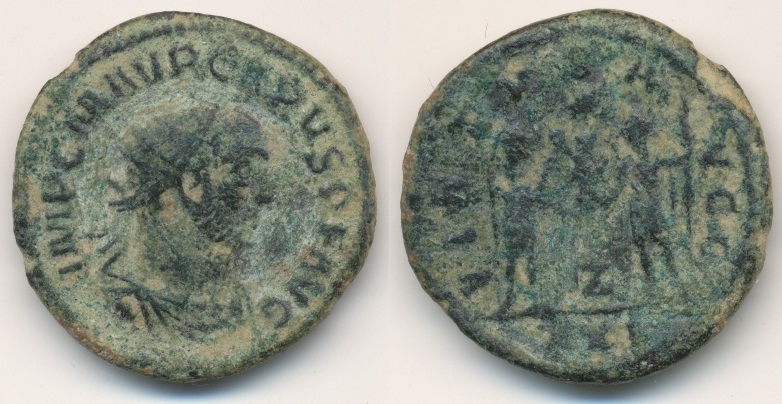 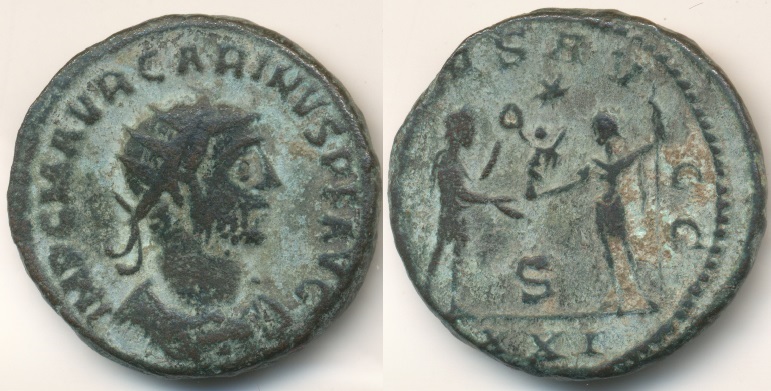 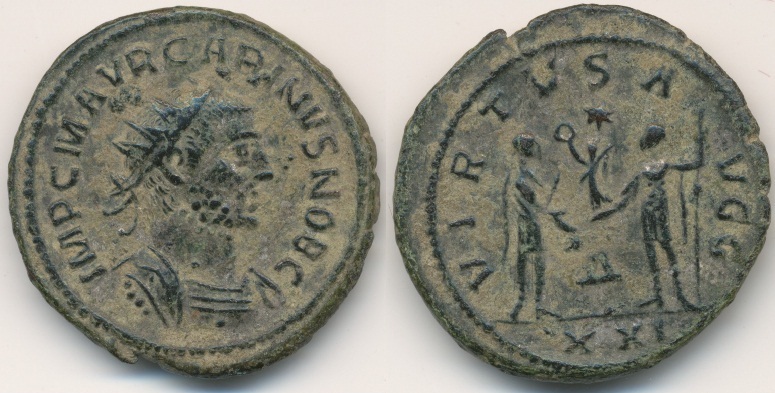 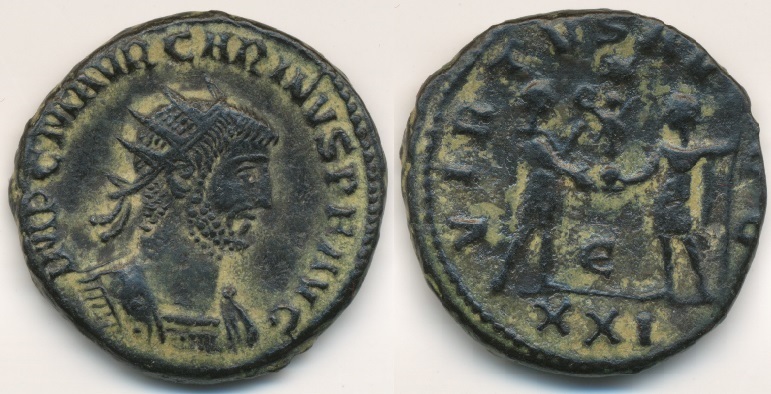 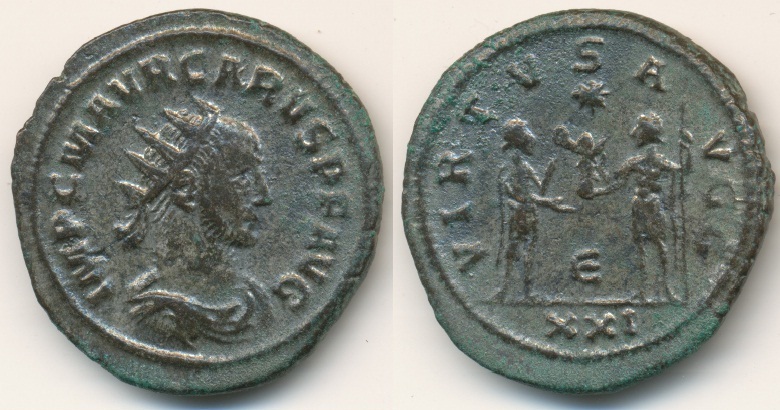 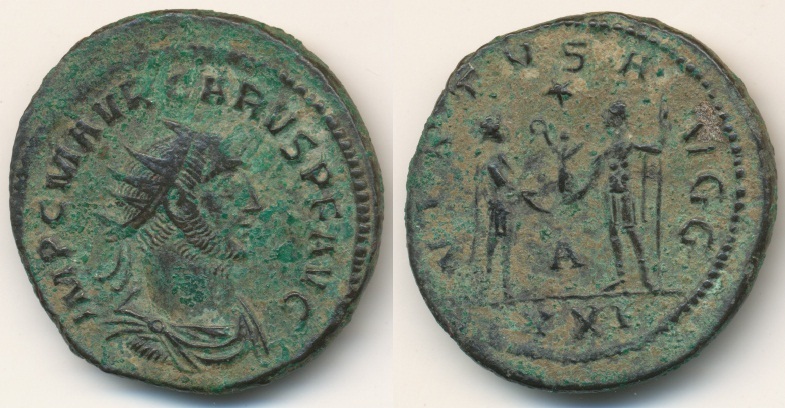 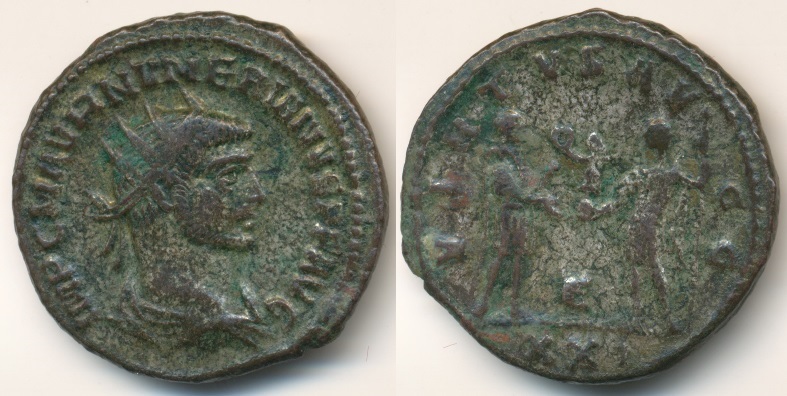 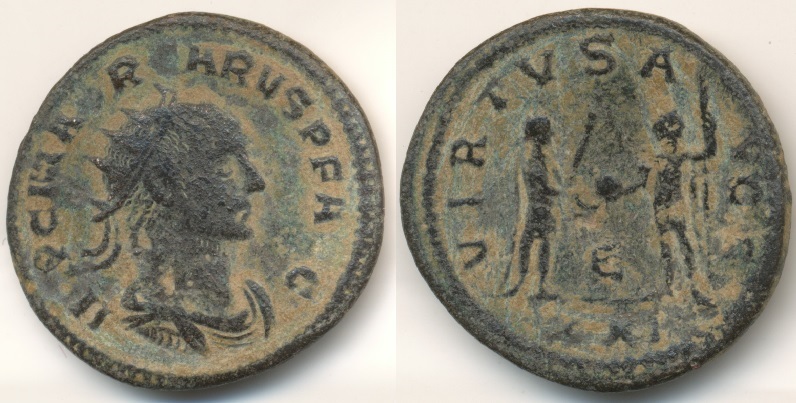 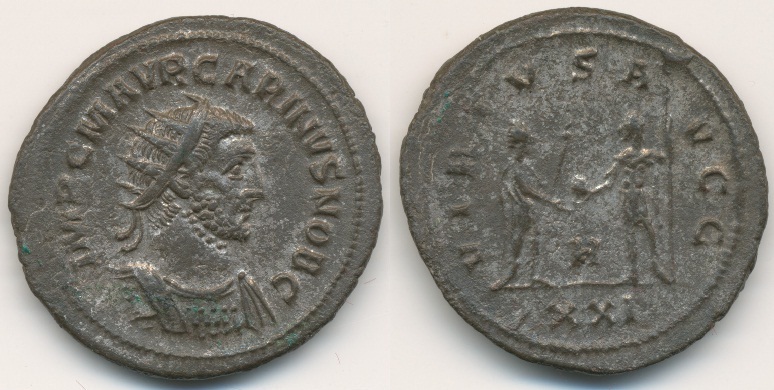 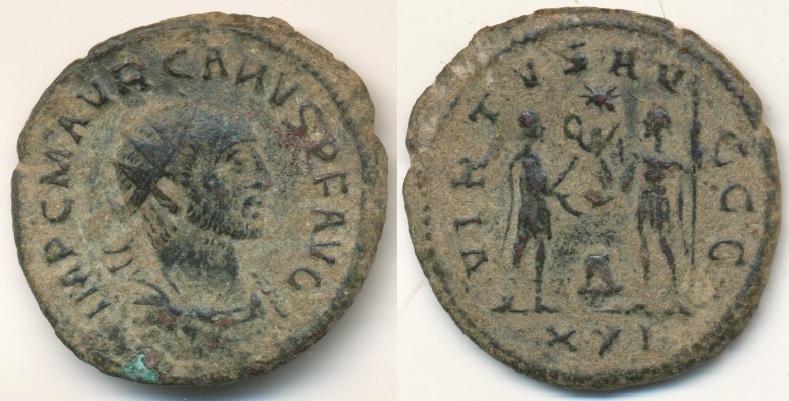 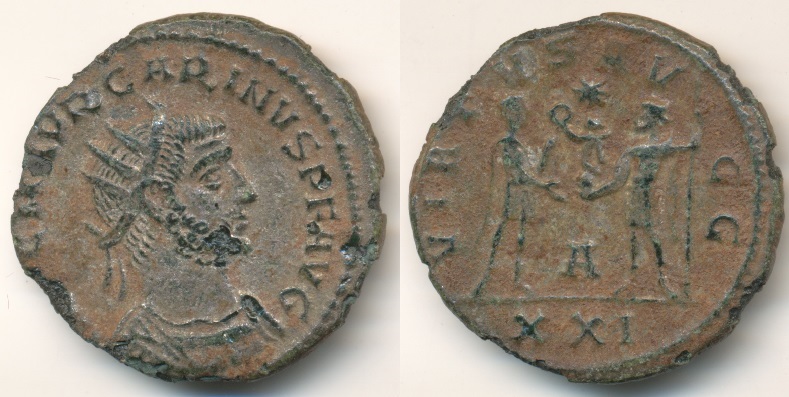 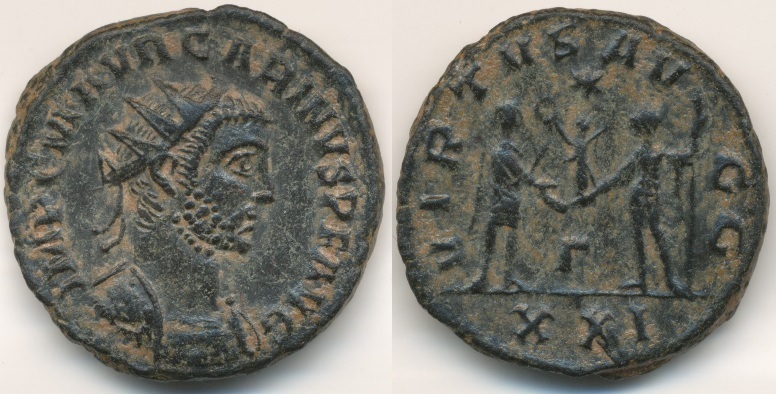 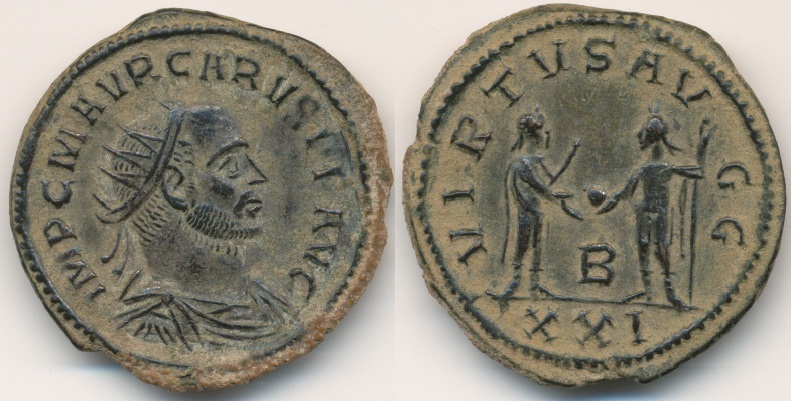 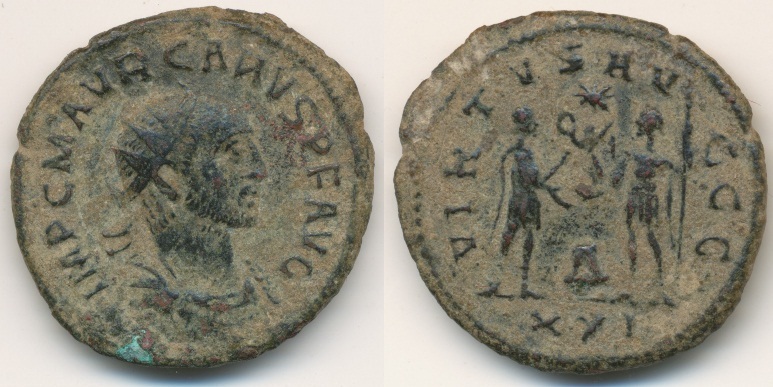 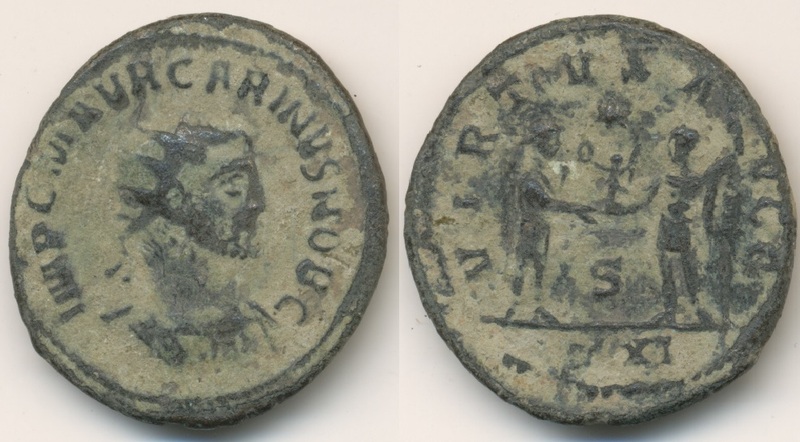 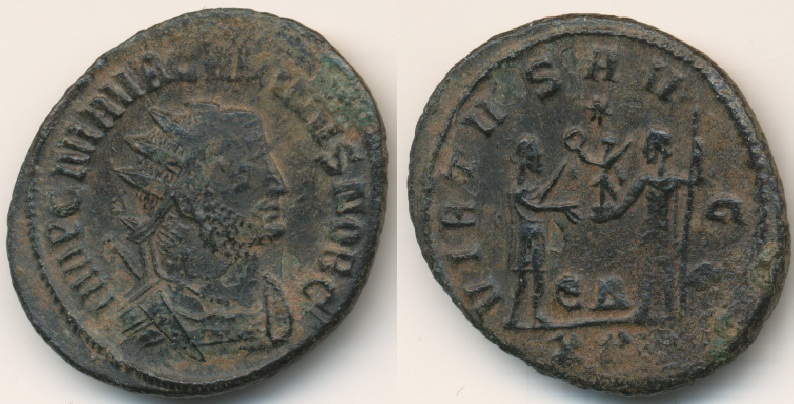 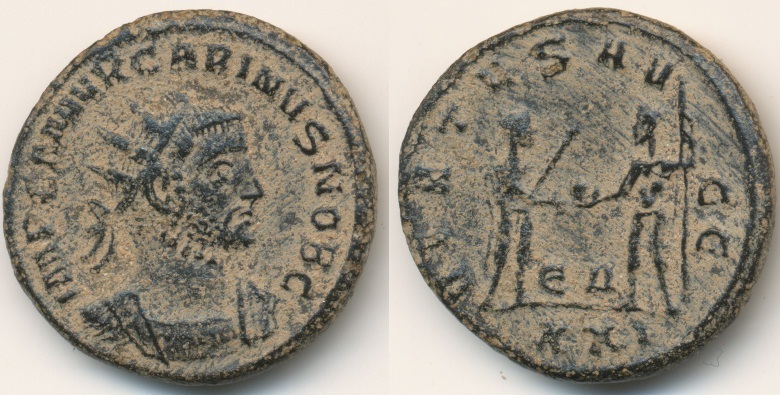 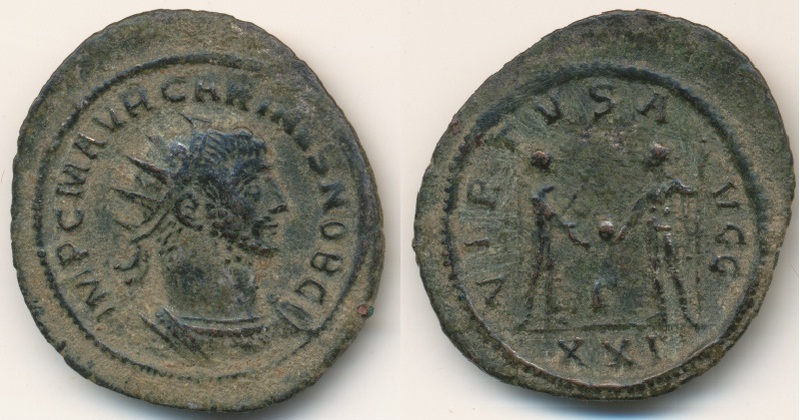 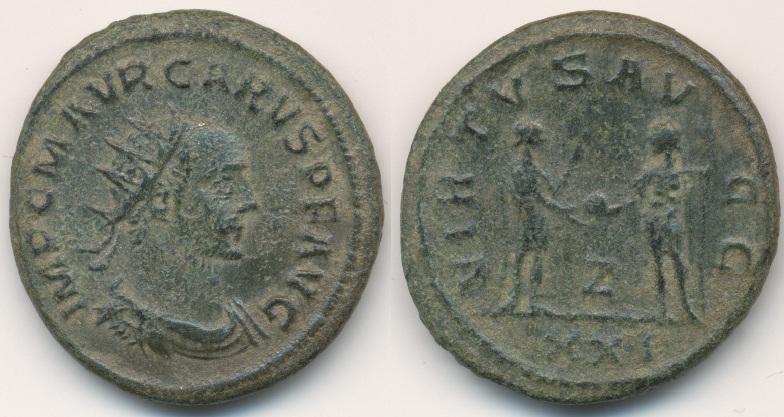 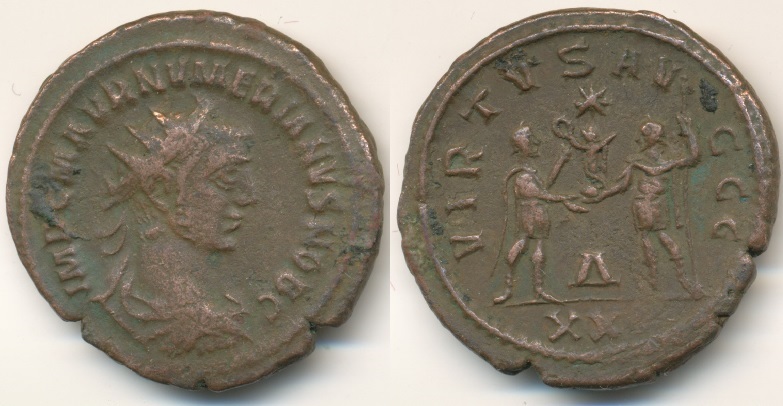 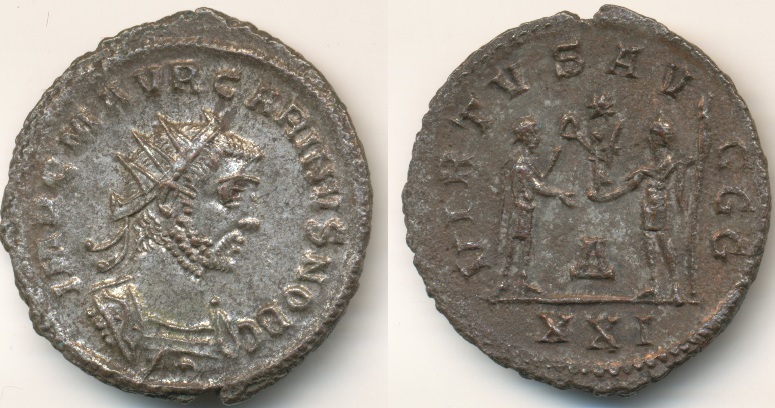 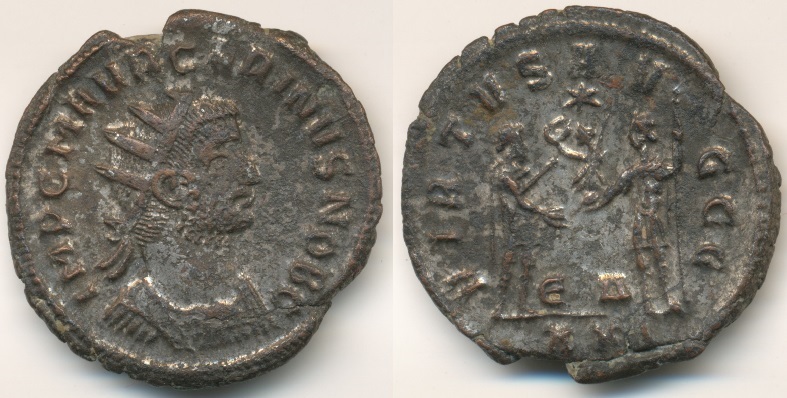 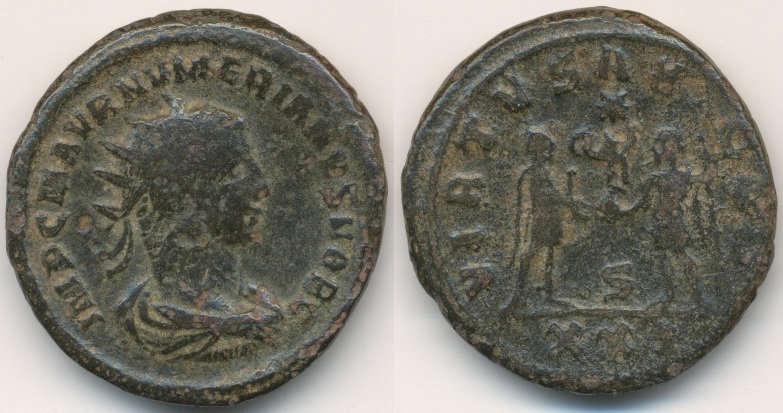 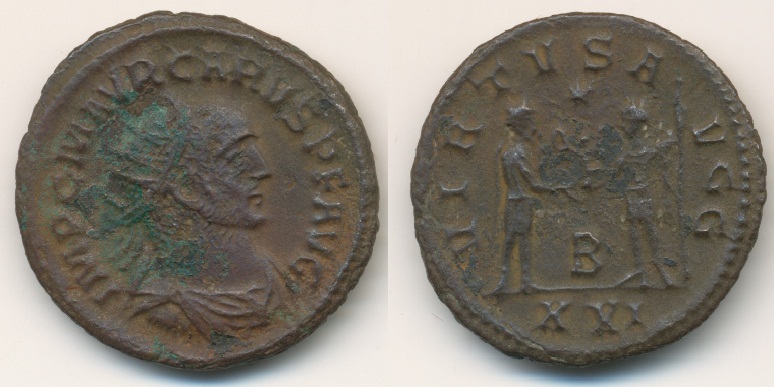 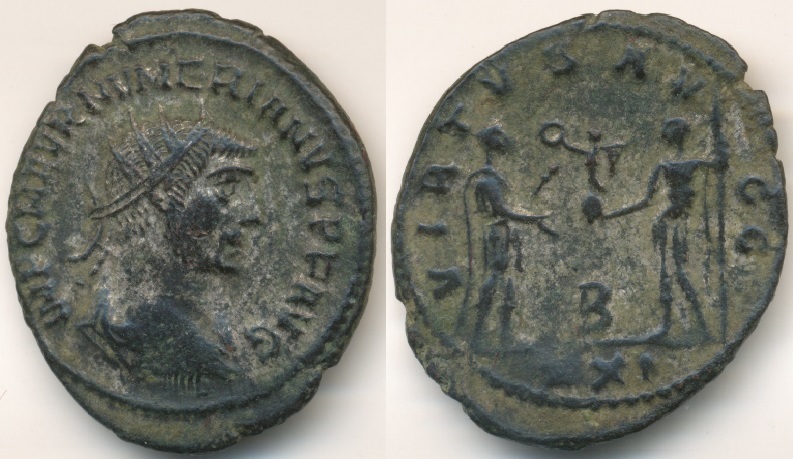 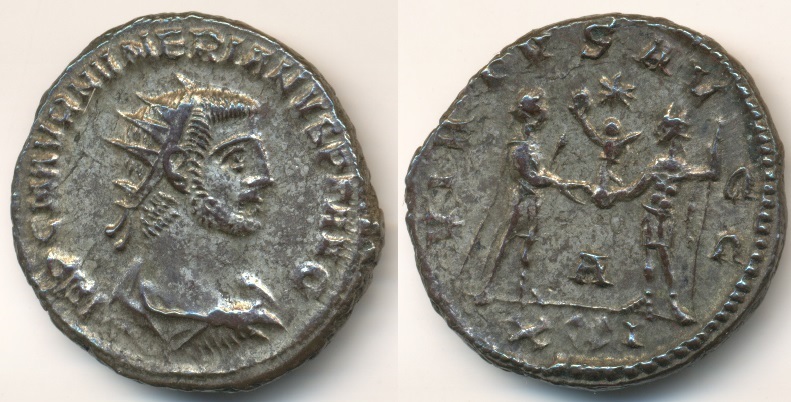 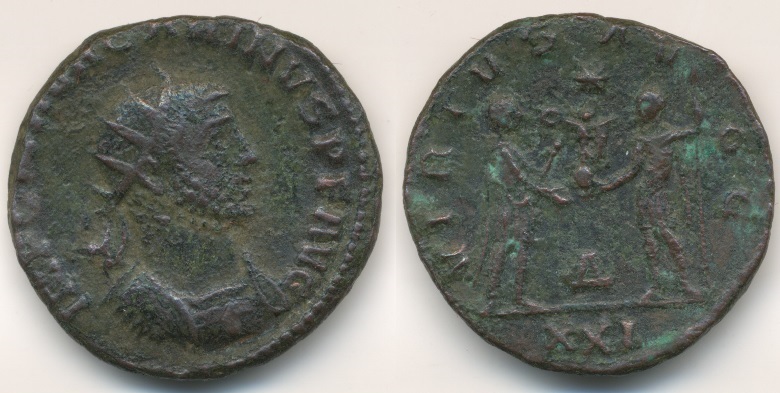 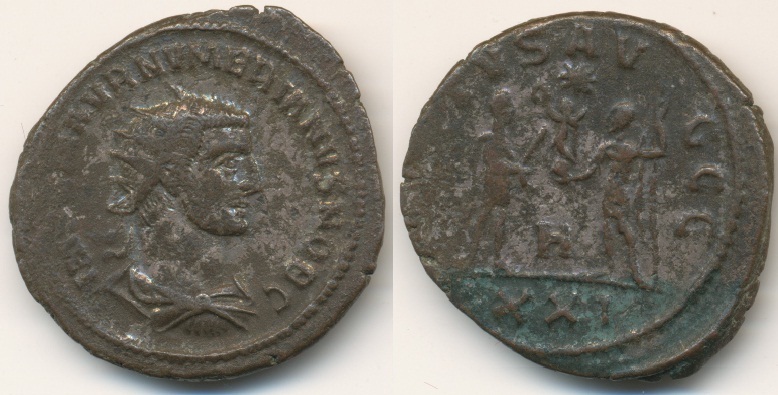 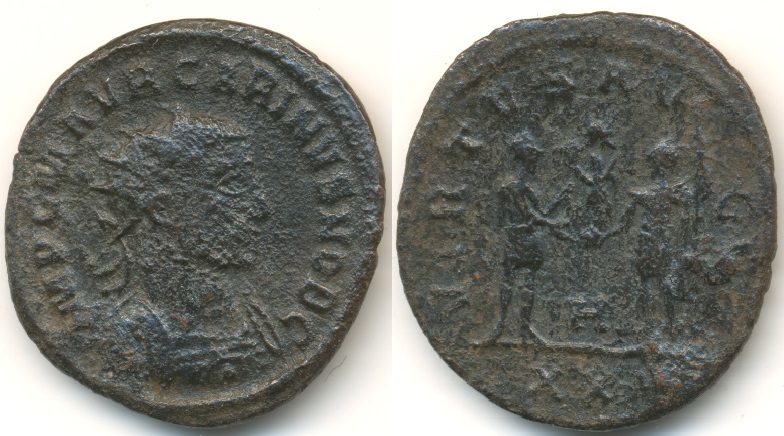 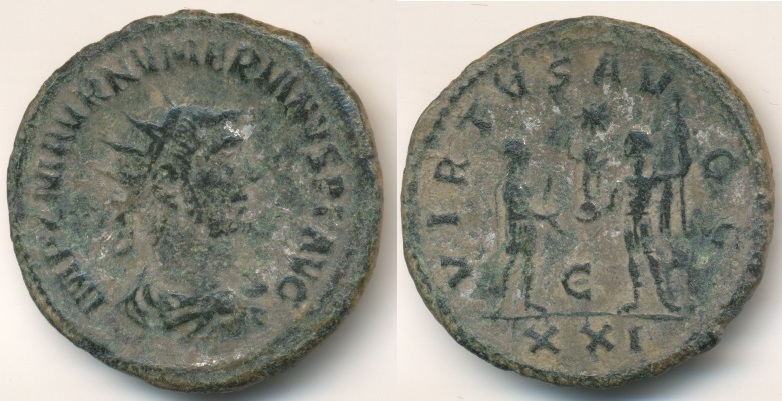 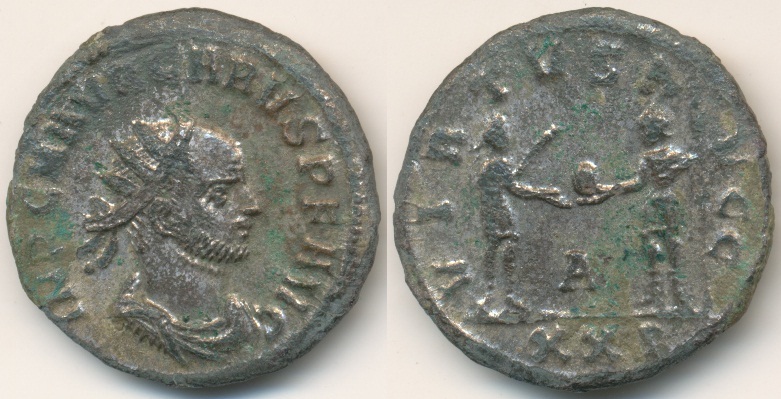 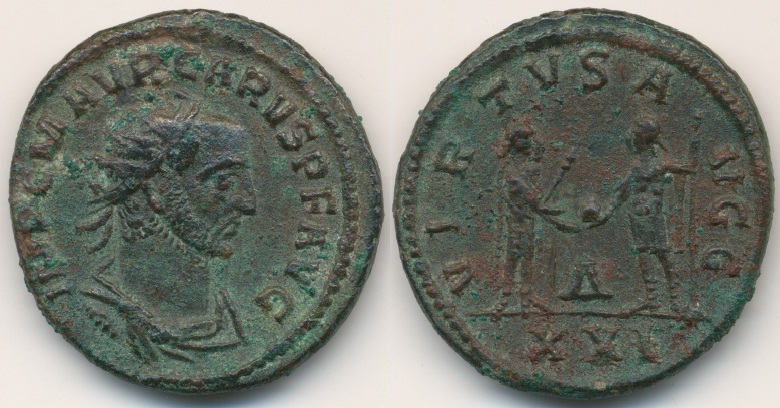 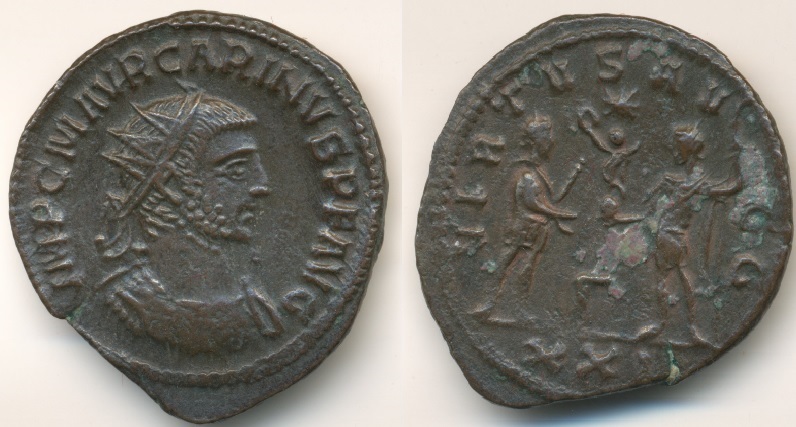 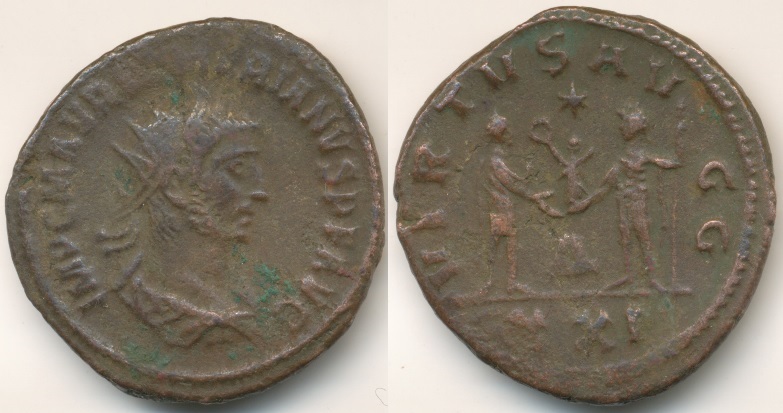 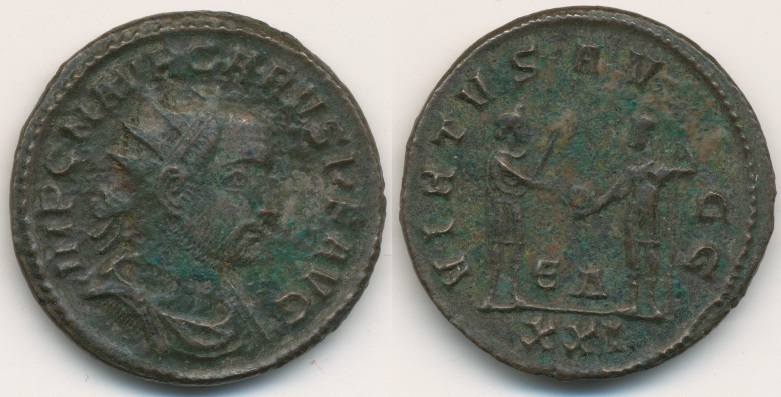 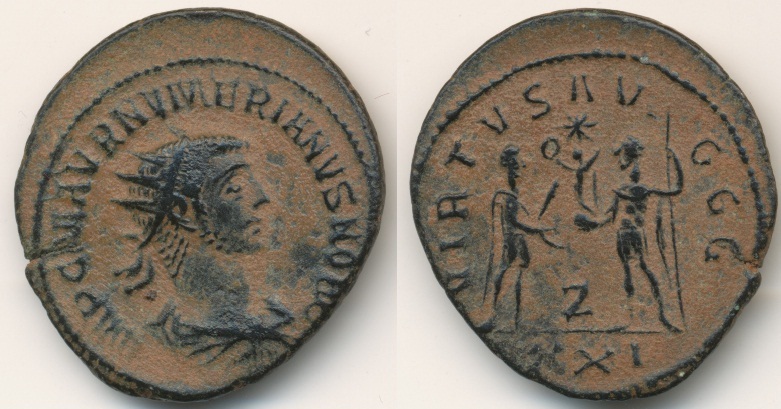 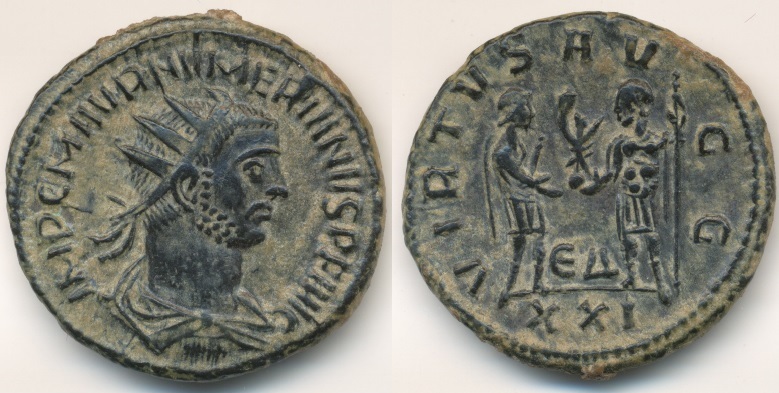 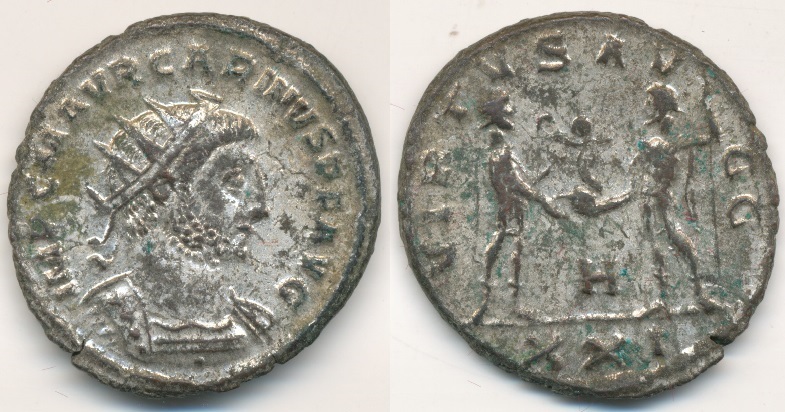 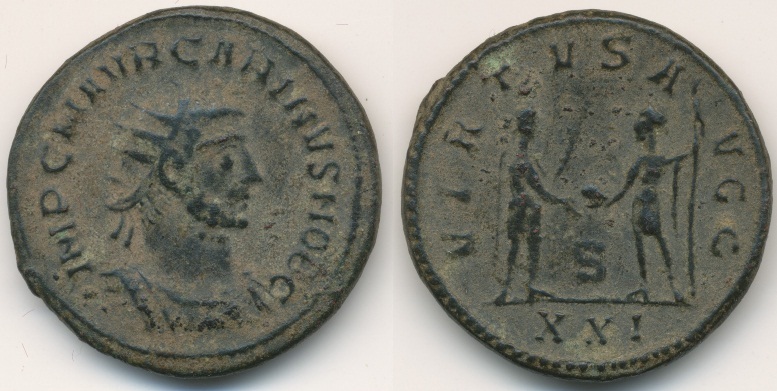 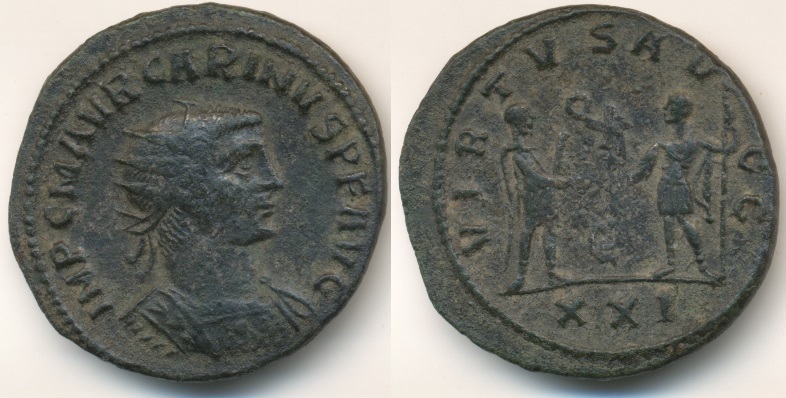 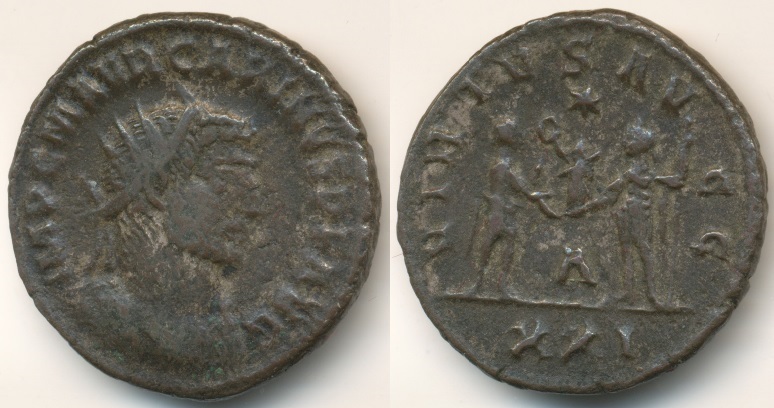 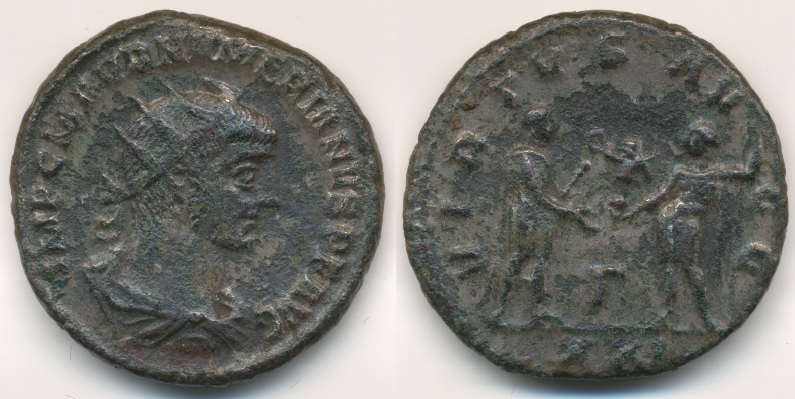 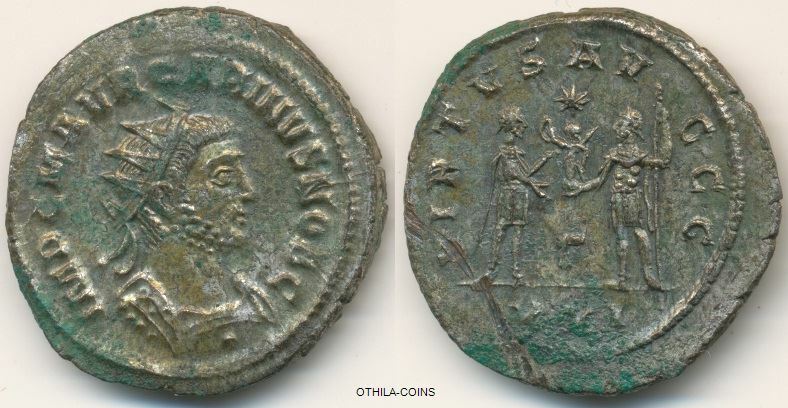 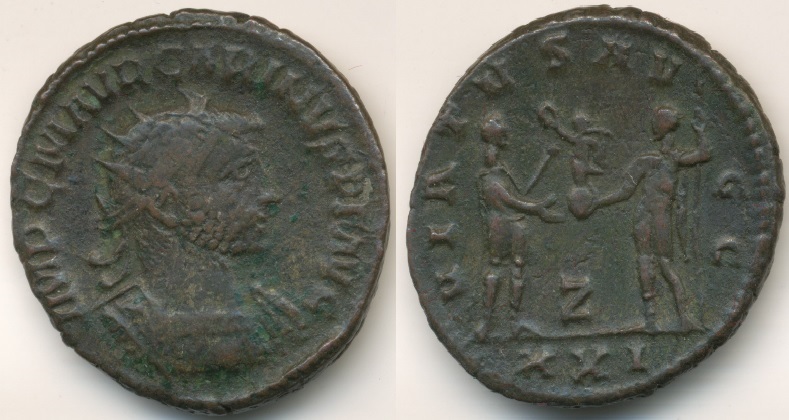 Antioch Numerianus Ex. 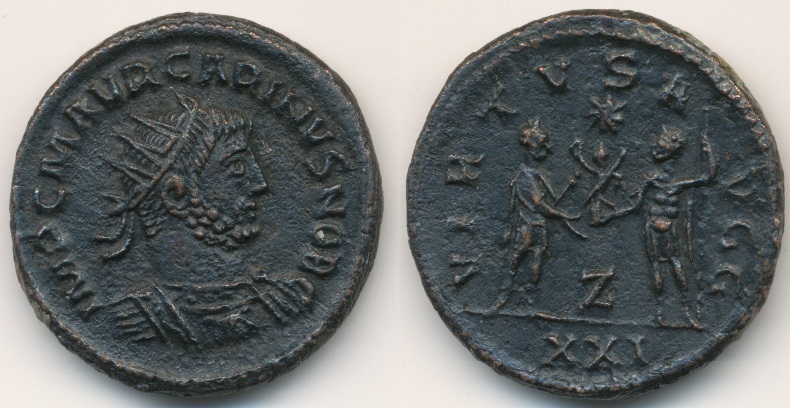 * Є Δ/XXI. 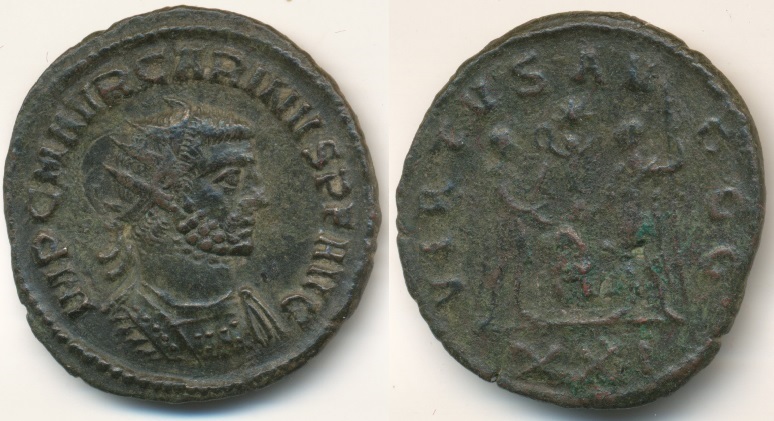 4th emission may/june 284,return from Ktesiphon.